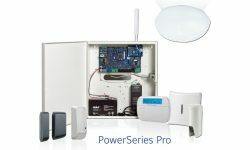 Each of OpenEye’s new surveillance cameras are ONVIF Profile S-compliant, IK10 vandal resistant and feature smart compression technology. 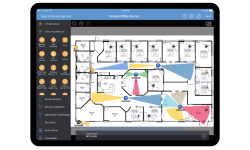 LIBERTY LAKE, Wash. — OpenEye, a provider of Cloud-managed video surveillance solutions, has added a pair of new cameras to its surveillance lineup. 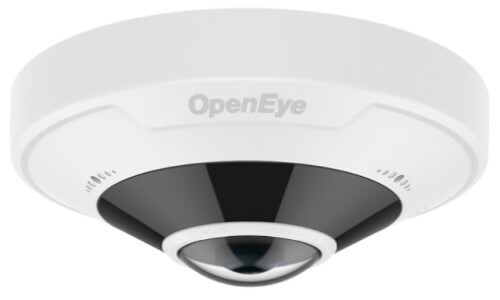 The OE-C97512 ultra high definition 360° 12MP camera comes with embedded IR LEDs to provide true day/night images, as well as multi-stream capability and a 176.8° horizontal field of view. OpenEye says the smart compression option reduces storage requirements by up to 70% while maintaining high-resolution video, allowing you to meet video retention and resolution requirements for less. The OE-C97512 is IK10-rated and comes in an IP66-rated weatherproof housing. 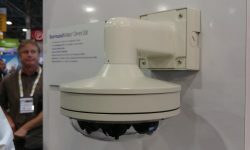 OpenEye’s OE-C8213 IP p/t/z dome camera features 3MP resolution and a 30x optical zoom. 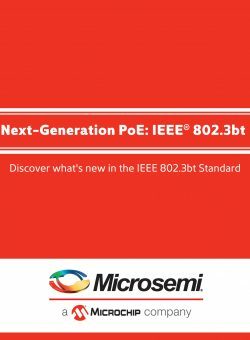 The p/t/z operation uses PoE+ power for single-cable installation. Like the new fisheye camera, the p/t/z solution also features smart compression and true WDR. It is also IK10 vandal resistant.